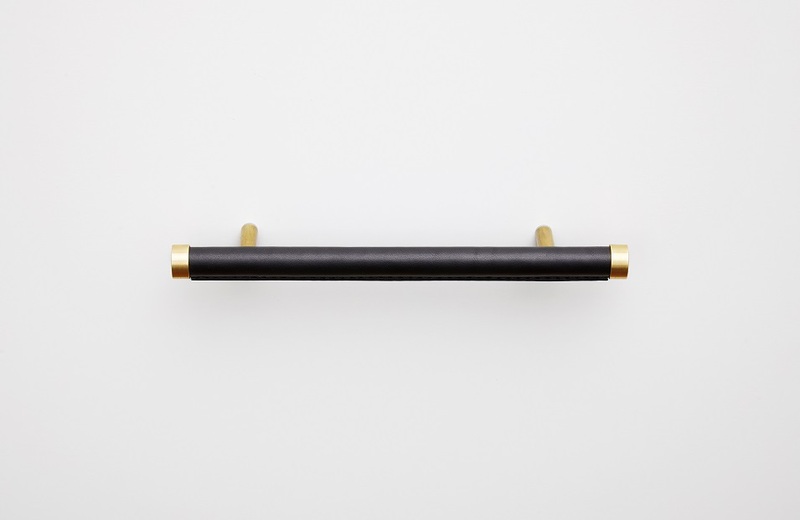 Cabinetry Hardware — Jay Teske Leather Co.
Our Standard Pull is a classic and modern pull made with solid brass hardware. 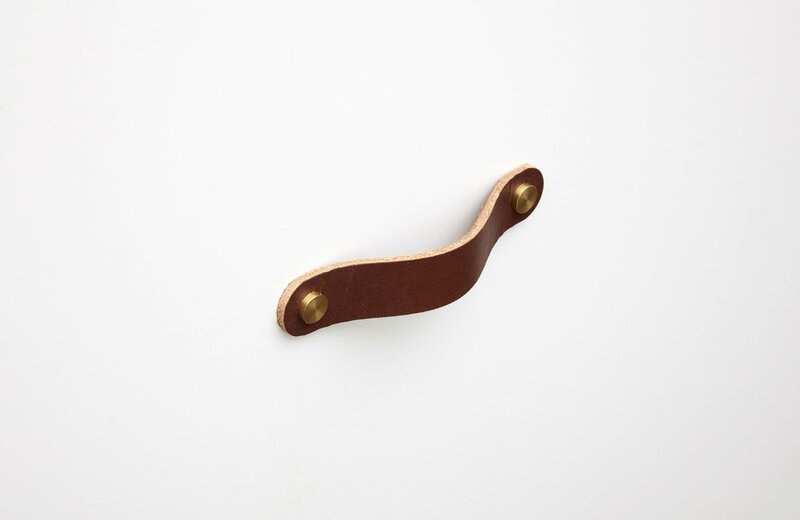 Our Classic Knob consists of stacked leather with hand burnished edges. 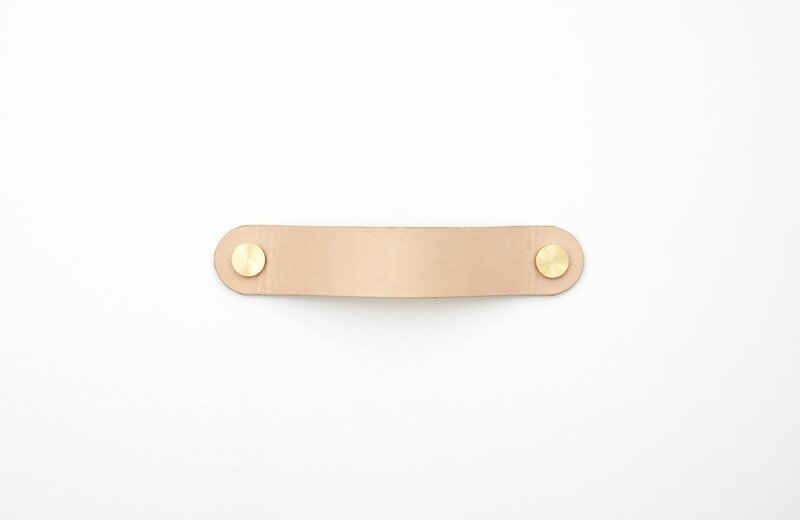 Our Planar Handle consists of a steel bar wrapped in leather, machine stitched, and solid brass hardware. 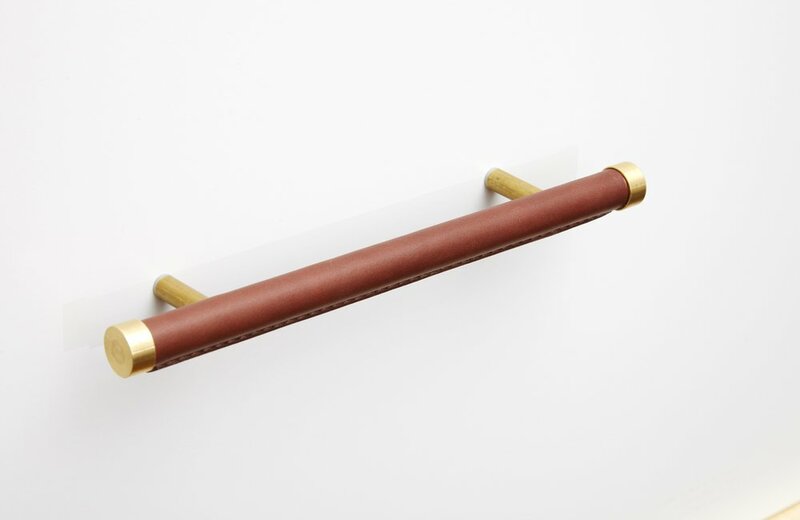 Our Helix Handle consists of a solid brass tube wrapped in leather with solid brass hardware. Our Radial Handle consists of a solid brass tube wrapped in leather with a hand-stitched detail and solid brass hardware. All of our cabinetry hardware is made to order. Please contact us to place an order via email at info@jayteske.com or via phone at 845.514.2599. Please allow four to six weeks for production.